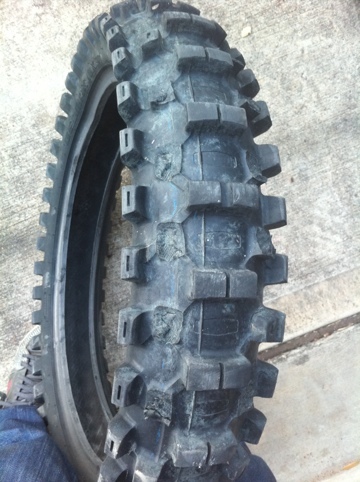 Riding supercross you wouldn’t think would eat up tires so bad. But I sure am missing some knobbys! Feels like ice skating on the rear wheel!